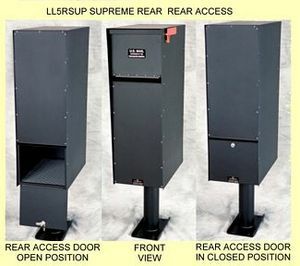 The Supreme Letter Locker is for those who receive a lot of mail. 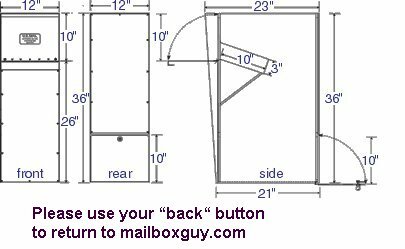 It is based on the Standard Letter Locker with an enlarged secured compartment that can hold up to 4 weeks of regular mail. Level 2, the â€œCLAWâ€� is a 5 point locking mechanism that includes 4 stainless steel claws that rotate into the door bracket.